Caravan rollover on Queensland's Bruce Hwy south of Eden Lassie Road intersection near Bowen. Emergency services on scene. * Gundagai caravan park opens weighbridge ... 89,865 people reached. * Caravanners still squeezing trucks out of rest areas ... 59,028 people reached. * Colorado Caravans in voluntary administration ... 31,771 people reached. 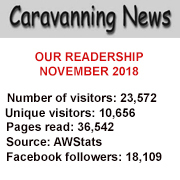 * Pain at fuel pumps for caravanners ... 27,796 people reached. * Parks association wins battle to ban free overnights at Rockhampton's Kershaw Gardens ... 19,602 people reached. COLORADO Caravans are having problems and I hope they are able to work through them and continue trading. They are by far the best quality caravan we have owned. Nothing has ever been too much trouble for Colorado. An excellent caravan and we wish them all the best. I AM at Surf Beach Holiday Park Kiama in NSW and heard it will be closing early next year for development work. A plan of development on this Crown Land site shows the trend for cabin accommodation, being increased from 24 to 35. But caravan/tent sites will decrease from 39 to 19. Currently the caravan sites are sloping and some are small, but really why is there not a better balance? Slowly but surely, caravan/tents/camper trailers are being pushed out. AUSTRALIA'S peak caravanning body has welcomed new laws which it claims will transform the industry. The new Road Vehicle Standards Act (RVSA) ‒ which will come into force next year ̶ has navigated its final hurdle through the Senate after five years of lobbying by the Caravan Industry Association of Australia. Chairman Grant Wilckens said it would put local RV manufacturers and importers on "a level playing field". And chief executive Stuart Lamont (pictured) believes it will result in safer caravanning products and provide better conditions for industry businesses burdened with having to compete with cheap imported products flouting tough Australian standards and design rules. "Australians will be better protected through the strengthening of the laws governing all vehicles, including trailers," he said. He also welcomed increased powers for the government to slap penalties on businesses doing the wrong thing. "The RVSA will provide much safer and compliant caravans and campers ‒ as well as other light trailers ‒ while maintaining consumer choice of both products manufactured locally as well as those sourced overseas," he added. Mr Lucas said there were over 57 million nights spent caravanning and camping last year. 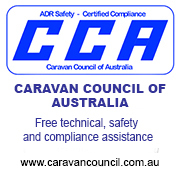 "When the RVSA takes effect those purchasing caravanning products can have even greater confidence in terms of safety, environmental and anti-theft performance of all vehicles (including trailers) entering the Australian market for the first time ... whether new or used." Mr Lamont said. The new legislation will also see better identification of caravanning products and a consistent approach to those made locally or imported. "The increasing demand for the caravanning and camping lifestyle in Australia, which has an estimated annual value of $20.4 billion to the Australian economy, is built around consumer confidence in the product and having the highest safety standards," Mr Lamont said. "One caravan accident is one caravan accident too many, and the more steps we can put in place to provide better outcomes for Australian caravanners the better. "Industry businesses who consistently ignore their obligations under Australian Design Rules should not be supplying product to the market, and they are put on notice of increased scrutiny against any such practices," he warned. AUSTRALIA'S caravanning industry is reeling, with manufacturers falling on troubled times in recent weeks. The days when hordes of cashed-up baby boomers were hitting the road in their brand new luxury touring caravans seem to be over as companies report a downturn in orders. Customline Caravans, which entered the market three years ago and was founded by the former owners of failed Galaxy Caravans, is being wound up, with liquidators appointed. The company's Mark Burns told Caravanning News after its launch in 2015 that he was looking at producing high quality caravans with new features. Galaxy went into receivership after debtors failed to pay debts to the company. "Due to that we lost our beloved Galaxy brand name," Mr Burns said. 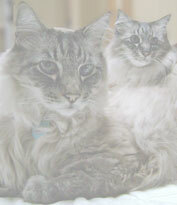 "But we as family have moved onwards and upwards. We have started our new journey again to rebuild caravans, with fresh new exciting ideas." Creditors of family-owned and operated Colorado Caravans, which is in voluntary administration, will hold a second meeting on December 4 to discuss the company's future. 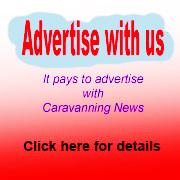 Owner and managing director Jim Moutsia told Caravanning News it was hoped to save the business. "We are doing all we can to continue into the future," he said. Founded 12 years ago, Billabong Custom Caravans is now in external administration. The shock news came as the Victorian-based company was advertising for experienced caravan workers to join its team. The company manufactures quality, handmade custom caravans at its Campbellfield factory and more recently appeared to be concentrating on the family market. Family-owned Diamond Caravans, which had been trading for around 10 years, has closed and is in liquidation. A meeting of creditors decided the Victorian company should be wound up. Meanwhile, the Deputy Commissioner of Taxation has made an application to the Federal Court for Coach Built Caravans to be wound up and liquidators have been appointed for Blackburn Caravans following an order by the NSW Supreme Court. THE Office of Fair Trading has issued a stern warning to manufacturers "not to play fast and loose with consumers’ money". This follows court proceedings in which Gidget Retro Teardrop Camper manufacturer Glenn Stuart Wills was ordered to pay more than $1 million in fines, compensation and court costs. Fair Trading executive director Brian Bauer said the collapse of the Brisbane-based company and the penalties handed down by the courts were a stark reminder to businesses. "Taking large sums from consumers based on empty promises is not only unethical, it is illegal," he said. "Businesses that cause detriment to consumers this way will be punished." 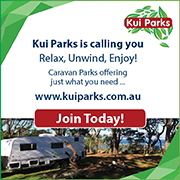 TINGHA Gems Caravan Park in NSW, a member of the Kui chain of caravan parks, has been awarded a $47,250 government grant to help finance a facelift. Northern Tablelands MP Adam Marshall visited Tingha’s hidden gem to announce the news. 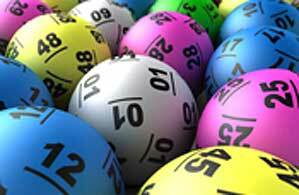 The money will come from the NSW State Government's Crown Reserve Improvement Fund. Mr Marshall was welcomed to the park by live-in caretakers and managers Craig and Rebel Bright, who said they were keen to get the work underway and ready in time for the end-of-year break. TRAVELLERS have fat chance of using coastal paths to stay fit on NSW's Mid North Coast, according to WA caravanner Erica Minarik. She claims that while the rest of Australia is tackling obesity by installing walking/cycle paths, Kempsey Shire is letting theirs "go to ruin". Erica says she and her partner have enjoyed numerous East Coast cycling and walking paths during their caravanning adventures. But they were "disappointed" when they reached her old stomping ground to find all the paths and cycleways "in a very sorry state". 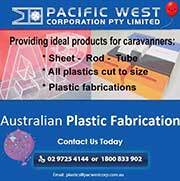 THE Caravan Council of Australia has stressed the importance of correct tow ball loading when hauling caravans. "It is one of the critical factors that determine its handling and stability characteristics," founder and qualified automotive engineer Colin Young warned. "Serious safety issues arise if the ball loading is either too light or too heavy." He said the seriousness would increase "significantly" if the mass of the tow vehicle was not sufficiently high to be able to control any instability of the caravan. "There are far too many instances ‒ sadly, too often with damaging or even tragic outcomes ‒ where the 'tail wags the dog'," he added. AUSTRALIA'S peak national body for the caravan and camping industry has two new board members. They are Donna Cocking (pictured), who has over 22 years owner and operator experience in the caravan holiday park industry, and Sunliner RV's managing director Nick Hunter (pictured). Jayco founder Gerry Ryan and co-founder of Discovery Parks Grant Wilckens both retain their positions. Current board members James Kelly, Matt Slee, Martin Cotterell, Dennis Austin and Chris Goddard were not subject to re-election and will continue to serve for another year. Meanwhile, the association's chief executive, Stuart Lamont, has thanked vacating members Gabby Montagnese and Mark Lindsay. RETIRED financial services worker John Snell has joined the board of the Australian Caravan Club. Mr Snell, from NSW, took up caravanning in 2011 after working for 44 years in the industry, the last three decades in a legal support role for retail and business bankers. He will serve as a director of the 4600-member nationwide club until the next annual general meeting in 2019. "I am pleased that John has accepted the invitation to join the board as he brings a wealth of professional experience and RV knowledge to the table," club chairman Craig Humphrey said. Mr Snell said he was "delighted" to join the board. IN a $3.5 million makeover, a caravan park on Queensland's thriving Sunshine Coast will have the number of sites reduced to make room for bigger caravans. Sunshine Coast Council says the time has come for the industry to meet a trend for larger caravans, motorhomes and camping trailers. Councillor John Connolly described the Mooloolaba Beach Holiday Park as a key economic hub for the area but needed to be upgraded from the ground up to ensure it remained contemporary and provided the modern park facilities expected by guests. FREE-SPENDING caravanners injected a whopping quarter of a million dollars into a small Western Australian coastal community's economy. Over 380 members of the nationwide Australian Caravan Club descended on the township of Denmark for the club's annual national muster. And during the seven-day event, local businesses benefited to the tune of $247,000. "In fact, some of our members explored the region for a couple of weeks and this expenditure is not included in the tally," club chairman Craig Humphrey said. QUEENSLAND'S independent Coordinator-General has approved a $1.2 billion tourism project for Hummock Hill Island near Gladstone. The ambitious development will include tourist accommodation, holiday units and camping grounds for about 2700 people. It is the only substantial undeveloped island in the southern area of the Great Barrier Reef Marine Park south of Shoalwater Bay. Gladstone is a popular stopping off place for thousands of southern grey nomads who head north for the winter sunshine. It is regarded as the gateway to the southern Great Barrier South. I READ your story on the truckie calling for action on RVs taking over truck spaces at rest areas (see story here). Definitely agree with Bruce Skelton that there are many inconsiderate caravanners and motorhome travellers who have self-entitled attitudes when using rest areas needed by truckies. Noticed many that pull up right in the middle of a rest area when common sense would be to leave long areas for trucks. If signs say truck-only parking, leave it for trucks. Truck drivers should be able to send a photo to police showing rego of the RV offenders, who should be fined. More travellers want to free camp but should be banned, with heavy fines, from truck parking areas. RVs have many more options. MESSAGE to the 'pedal to the metal' caravanner heading south through Gympie recently: slow down! It seems the driver of the powerful blue 4WD towing a large Majestic caravan thought he was on the starting grid of F1 when pulling away from traffic lights. And as for giving way when the road narrowed ... well, forget that! Oh, and let's not forget a short spell of tailgating either. Luckily, this bully turned off the Bruce Highway and onto the road heading to Rainbow Beach. Well done idiot! You were certainly not helping the already tarnished image of us caravanners.